On this warm and sunny November day, I had the chance to take pictures of a beautiful East Village duplex apartment. 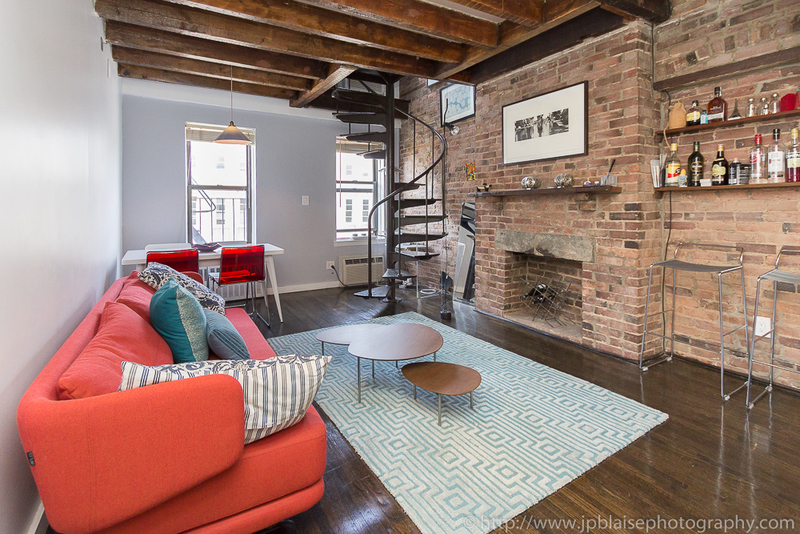 The owners recently renovated the unit, but they kept a lot of originals details : hardwood floors, exposed brick walls and beams, a decorative fireplace, and the spiral staircase connecting the living room to the bedroom. Spacious, sunny, and with a lot of closet space, this unit offers a perfect mix of modern comfort and traditional East Village elegance. You like that area of Manhattan? Check out my Latest New York apartment photographer work : 2 bedroom in the East Village as well!